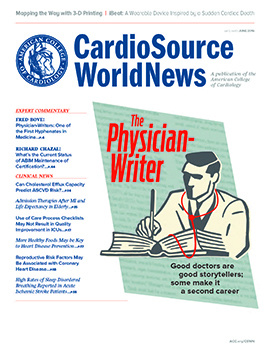 CardioSource WorldNews | Since the introduction and rollout of the Affordable Care Act, The Centers for Medicare and Medicaid services has sharpened its focus on bundled payments as a viable and sustainable alternative to the costly fee-for-service reimbursement model. For instance, in 2011, CMS introduced a bundled payment program for end stage renal disease. However, recent developments are giving us insight into how heavy CMS is betting on bundles. In recent weeks CMS announced that it is extending the Bundled Payments for Care Improvement Initiative (BPCI) for an additional 2 years. Originally a 3-year pilot that was scheduled to complete later this year, the BPCI program now continues through the fall of 2018. What’s more, on April 1, 2016, the first mandated bundle in orthopedics, the Comprehensive Care for Joint Replacement (CJR) model, went live. Simultaneously, awardees have been selected for the Oncology Care Model (OCM), a new bundled payment program in CMS’s portfolio. So, why is CMS upping the ante? The Commonwealth fund estimates that bundled payments will save CMS $19 Billion between 2010 and 2019. This tells us that cardiology practices will need to put some skin into the game when designing bundles for CV services (such as CRM, CABG, and CHF) if they want to be eligible for additional incentives within the APM track. While most reimbursement to physicians beginning in 2019 will fall under the MIPs track, physicians and physician groups will be eligible for additional incentive payments for their participation in APMs, including Bundled Payments and the Medicare Shared Savings. The take-home message for cardiologists is that smart organizations are working now to develop the programs and infrastructure to drive predictable cost and quality outcomes, thereby making the most of value-based reimbursement models. With bundles, the cost-cutting benefits are quite clear. CMS receives an up-front discount of 2–3% on typical fee-for-service payments. On the provider side, hospitals and doctors receive the benefit of a Stark Waiver, thus allowing organizations to share additional cost savings with their physicians. When I was a practicing nurse (before becoming a consultant), I worked for a health system that implemented cardiovascular bundles with the Acute Care Episode (ACE) program. As we rolled out the program, I learned firsthand that costs do indeed come down. Yet a far more compelling benefit to all stakeholders was that care quality also became demonstrably better. Not only did we experience better communication between nurses and doctors and achieve improved clinical outcomes, but patients also consistently commented that the coordination of their care was noticeably better. And the benefits of bundles go beyond the anecdotal. A look at CMS data shows that bundled payments are actually one of the only payment innovation models that have objectively yielded improved quality and reduced costs. Ultimately, however, the goal of bundled payments isn’t financial gain, or at least it shouldn’t be. The true value comes from the opportunity to improve communication and bridge gaps in the continuum that have long plagued care delivery—gaps that have prevented Americans from getting the care we need and the outcomes we deserve. To achieve these benefits, cardiology groups need to design the right program(s) for the right service(s). Regardless of whether your organization is currently participating in a bundled payment arrangement or just beginning to consider the approach there are a number of critical steps that physicians can take now to ready themselves for managing episodic risk. While bundled payment programs won’t revolutionize health care on their own, they will contribute to the system’s positive evolution. Bundles represent one of the few approaches in health care today where all stakeholders can benefit. Patients experience better outcomes due to greater care coordination. With re-aligned incentives, physicians can better communicate and collaborate in providing the right care at the right time. For payers, and the system as a whole, costs become more sustainable when value is incentivized over volume.